Mating an efficient tread pattern with a high-volume and robust construction, the Goodyear County Tire is a versatile companion at home on any surface. Widely-spaced side knobs offer confidence on loose terrain while a smooth center tread minimizes rolling resistance. 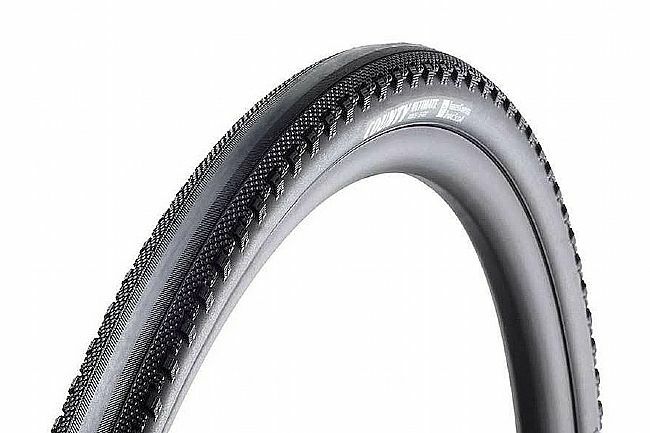 Goodyear’s R:Wall sidewalls and Tubeless Complete construction ensure enhanced durability and fewer flats when the going gets rough. While their Ultimate casing and Silca4 rubber compound keep the wheels spinning no matter how bad things get. The Goodyear County Adventure/Gravel tire is available in one width: 700x35. Tubeless ready. 441 grams.